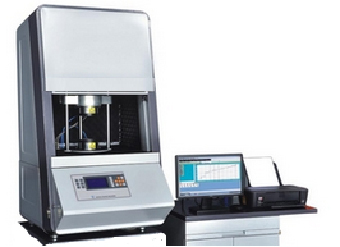 The Foam Pressure Rheometer is for the determination of various vulcanization characteristics of different rubber compounds. This series is divided into two machines, the QT-M3000F and the QT-M3000FA. The Foam Pressure Rheometer - QT-M3000F is able to precisely adjust the gap between upper and lower die freely. The Foam Pressure Rheometer - QT-M3000FA able to isolate the die’s opening and frame by the sealed ring. The upper and lower die can be completely sealed.